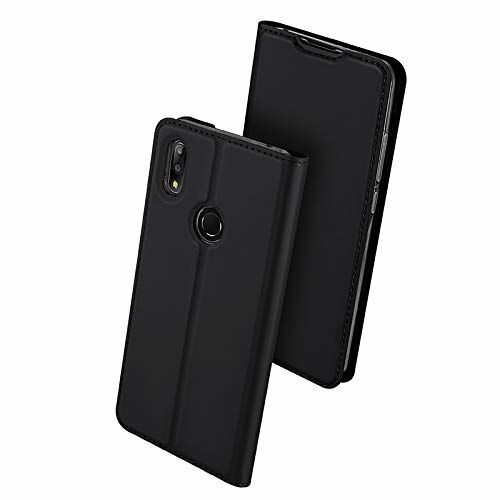 DuxDucis SkinPro - lightweight and durable case for ASUS ZENFONE MAX PRO M2 ZB631KL Smart Cover is specifically designed to protect your device from mechanical damage on either side. SkinPro is perfectly aligned and steadily adheres to the Honor and has a matte finish, making your device always clean and free of greasy traces. SKIN PRO series ASUS ZENFONE MAX PRO M2 ZB631KL Flip Folio Wallet Stand up case Cover Holster, designed and Manufactured by DUX DUCIS only. 1.Designed for ASUS ZENFONE MAX PRO M2 ZB631KL. 2. Material, Synthetic PU Leather with top-grade hand feeling, soft lining looks and feels like velvet having your glass screen far away from scratches, soft and flexible TPU Silicon hybrid carrier but durable will never scratch your phone body which is different from other hard PC cover. 3. DUX DUCIS ASUS ZENFONE MAX PRO M2 ZB631KL Flip Folio Stand up Case Cover Holster surrounds all the edges, cover the whole phone with a full body protection on front and back when phone in your pocket and purse, well protected, more safe including the volume buttons and the mute switch, not just a bumper guard for the sides or back, really 360 protection. 4. Built in stepless stand while folding into a kickstand position to watch videos hands free, embedded magnetic clasp secure lock the case, also the front cover can magnetize to the back cover when completely flipped open. 5. Perfect cut outs for the speaker phone and microphone, exquisite craftsmanship and workmanship, very low profile, easy use and user friendly. Your Phone will fall in love with this Flip Folio Wallet Stand up Case,suitable for any occasion including business occasion. Auto Sleep Function is not available on this case .